Ark Partners lost 177-key property at 33 West 55th St. The Shoreham Hotel in Midtown is on the market after the special servicer on the property’s mortgage foreclosed on borrower Ark Partners last month. 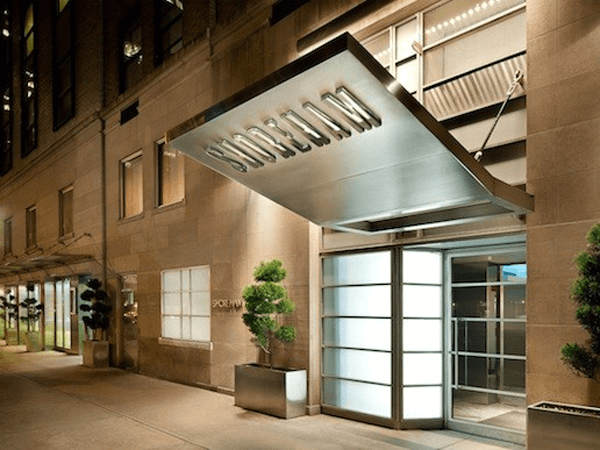 The 177-key property at 33 West 55th Street is on the market with Steven Vazquez of NAI Global, the Commercial Observer reported. Ark Partners’ $32.8 million loan on the property went into special servicing in August 2014, and the servicer completed foreclosure on early last month, according to CO. Through the end of November 2016, net operating income for the property was negative $3.3 million on revenues of $8.9 million, according to Trepp data. Occupancy was 77.1 percent year-to-date with average daily rates of $183.52.